1/26/14 Are the Tremors in the U.S. Midwest Aftershocks, or Harbingers of Massive Earthquakes to Come? 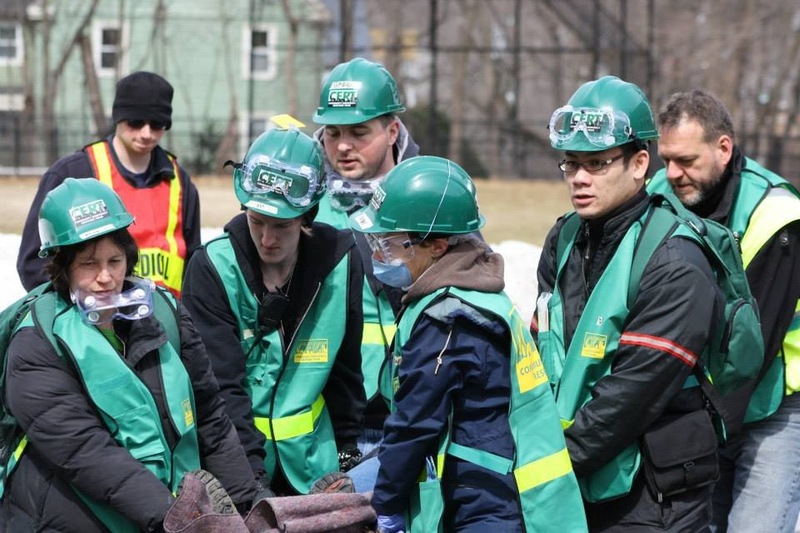 The success of the Arlington, Massachusetts CERT program is due to the vision and dedication of a few individuals who believed that citizens have an important role in community preparedness, response and mitigation. 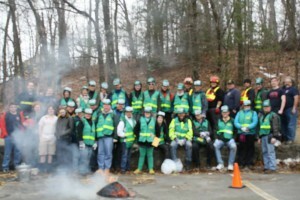 Sticking with their vision for decades, Joe Marshall and a few other individuals are creating a thriving CERT program that recently graduated its first class of twenty-five people, from middle-school kids through retirees in their late sixties. This is the story of that community’s path in readiness. As Joe and the kids got older, there was less interest in the training and activities. As he puts it, “I really started out basically as a big kid so I spoke their language. Then I got older and it got harder to keep them engaged.” Joe’s interest, however, never waned. Looking at the decline of archaic Civil Defense programs, he knew that the Auxiliary Fire Department program was going to end. He looked for other opportunities to serve and provide opportunities for others to be engaged. Following 9/11/2001, the concept of the Citizen Corps gained ground. Joe attended a leadership program at the Emergency Management Institute in Maryland, and came back with additional skills and knowledge, including a sense of the direction preparedness was taking in the post-9/11 world. Joe’s vision was to rebuild the community of volunteers who would be available to support the town and improve its readiness: now he had new resources and a new understanding of how the CERT program fit into the national readiness effort. Instead, thirty-five people showed up, aged 15 through the mid-60s. Joe and the training team were stoked. Thirty people showed up for the first class, and the trainers had to order more kits. In the end, twenty-five people completed the course, and are more prepared to protect their families, neighbors and community, as well as participate in additional training programs. The original CERT members responded to multiple incidents, including weather-related emergencies, water main bursts, and disease outbreaks. They have engaged in residential /neighborhood checks, general evacuation, sandbagging (when two lakes that were geographically separate began to flow into each other through a neighborhood), traffic and crowd management, staffing Emergency Operating Centers and shelters. They also have performed hazard and threat assessments, mitigation activities, support for emergency planning in neighborhoods, schools, and town-wide, and public safety activities at community events. That original team is excited about expanding its ability to prepare and protect the community with additional volunteers. 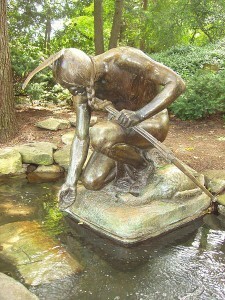 Menotomy Indian Hunter in Arlington Center by resident Cyrus E. Dallin (1911). Arlington, MA is a medium-size community west of Cambridge and Boston with a population of 42,844. Seventeen percent of the population is over 65, which is higher than the national average (14%). The town has few industrial hazards, but due to its location, its central roads carry trucks bearing significant amounts and varieties of hazardous materials. It is also subject to weather-related emergencies, including snow, damaging winds, and flooding.